It was "50 years ago today", in 1964 that The Beatles first set foot in America. Their performance on the Ed Sullivan show was watched by 73 million viewers. 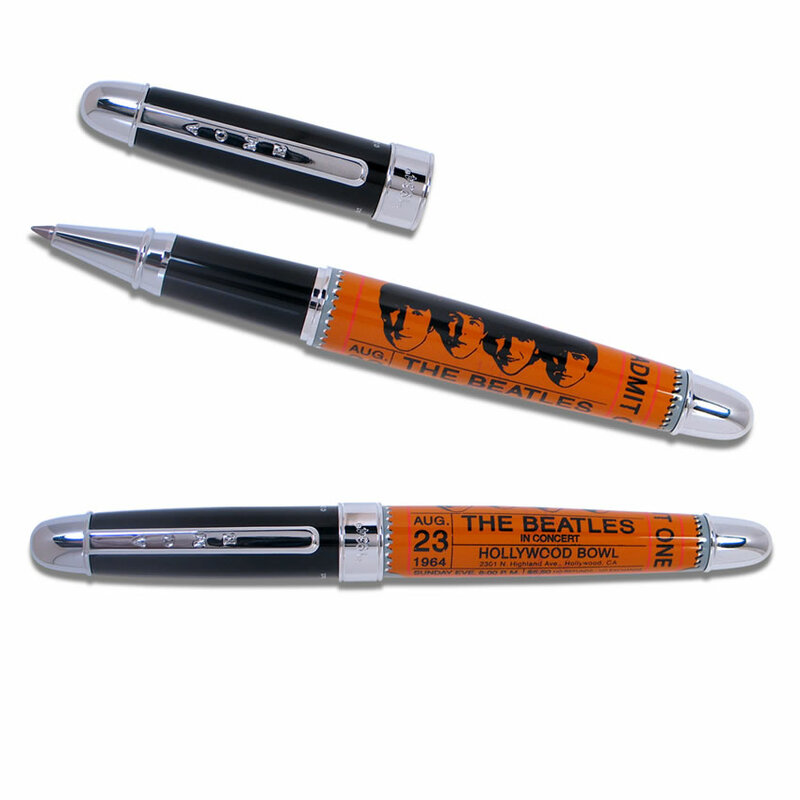 This pen is one of nine numbered limited edition pens evocative of each year that John, Paul, George and Ringo were together. It depicts the four fresh-faced lads and is inscribed with the date "1964" on the silver band. Only 1,964 pens will ever be made of this design. 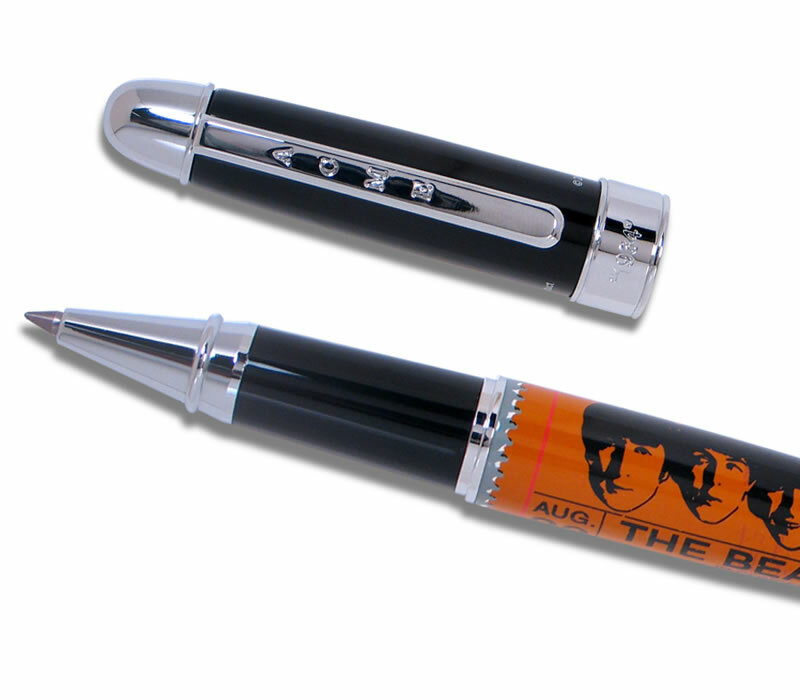 The "1964" Limited Edition Rollerball Pen is part of The Beatles Collection by Acme Studio. 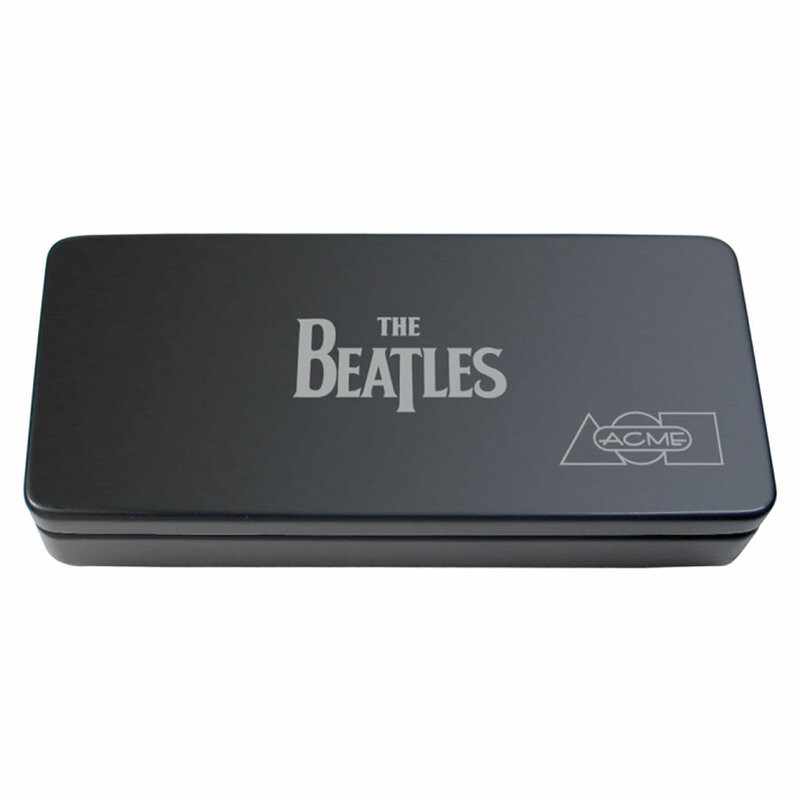 It has been accepted into the Rock & Roll Hall of Fame and is the only numbered, limited edition product collection to ever be approved by the Beatles. All Acme Studio pens feature hand applied lacquer finish over brass. It comes equipped with a sealed ACME Roller Ball cartridge, and includes a black wooden ACME presentation box with a black sleeve and ACME Studio literature.